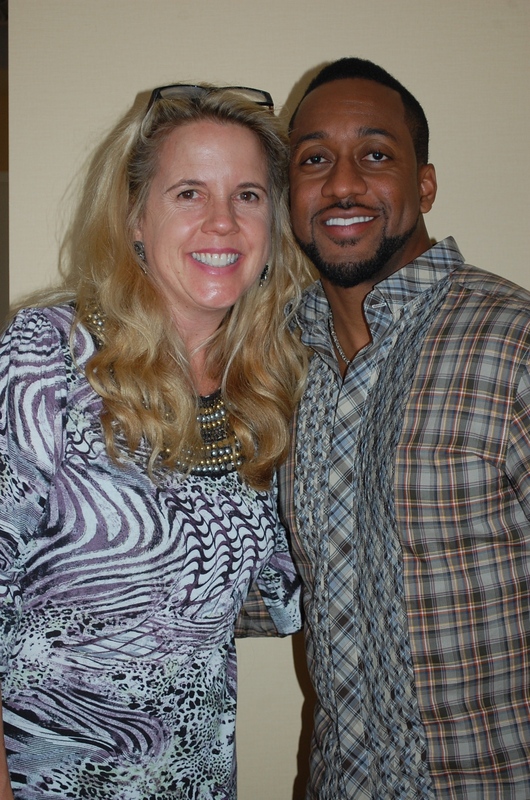 The minute I saw Jaleel White up on the screen of Judy Moody, I had a big smile on my face. This guy is adorable. I remembered him in the mega-hit television show “Family Matters” as Steve Urkel. Now he is all grown up and plays Mr. Todd, Judy’s third grade teacher. I had the opportunity to sit down with White at the Beverly Hills Hotel and learn a little about his past, present and future. Surprisingly this was his first press junket in his 31 year acting career. Born in Pasadena, his preschool teacher discovered his comedic talent and urged his parents to get him into showbiz. ‘Nowadays, to get a role, you have to be famous, not just good,” shared White. When he was a child actor auditioning for television and movies, one had to have talent. Today is different with all of the reality stars and their shows. “I walked onto the 12th episode of a failing television show and left after the 215th episode,” boasted White. It was a great training ground for him, however he played the super-nerd Urkel so well, that everyone identified him with the character. Fortunately, at UCLA it changed when he enrolled in the Film and Television program and began writing screenplays. Hopefully at the end of the summer, his writing will come to the big screen and they will shoot his movie in Canada. “If I’m cast in the movie, great. If not, it doesn’t matter. I just hope it gets made. You never know in showbiz,” declared White. He is handsome, funny and grounded without a big celebrity ego. During the weekend, he and his foodie friends like to grab some sushi and hang out at the SoHo House. His favorite movies to watch are Ghostbusters, The Breakfast Club and Beverly Hills Cop 1 and 2. White has my vote as an actor who has paid his dues and deserves a chance to win a Golden Globe or Oscar. It won’t be with his role in Judy Moody, but hopefully something soon in the future that is meatier and displays his wide range of appealing talent.